The Lilian Linden Collection of Scottish Music includes three decades of original compositions by Lilian Linden, acclaimed Scottish music pianist and founder of the Invercauld Scottish Dance band. From lively jigs and reels to traditional strathspeys and lyrical slow airs, you'll enjoy playing the whole range of Scottish music either for dancing or listening. Note: The tunes marked with an asterisk (*) above are also available on the CD Peter Macfarlane (fiddle) and Lilian Linden (piano). 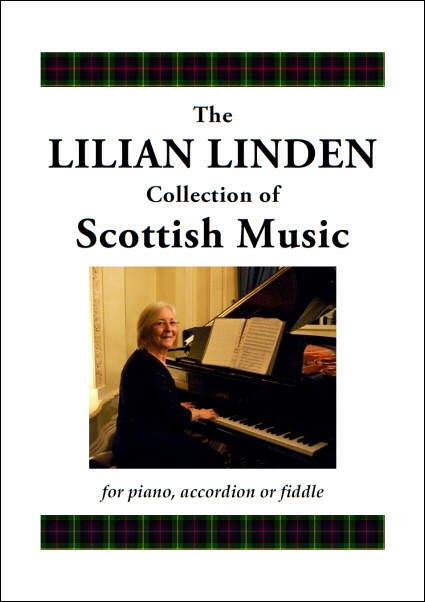 The sheet music for all Lilian's compositions from the CD are included in the book The Lilian Linden Collection of Scottish Music. To place an order or enquire about combining shipping for multiple items, please email me (Lilian) at lilian.linden@virgin.net.